It was a big day at the Advanced Technology Center (ATC). Today was the day ATC Cisco Networking Academy students had a chance to divide into two company teams: Virginia Beach Routing and Tyrannosaurus Tech and present their response to a Request for Proposal (RFP) in designing a gaming network in five virtual cities. What made this presentation so unique? 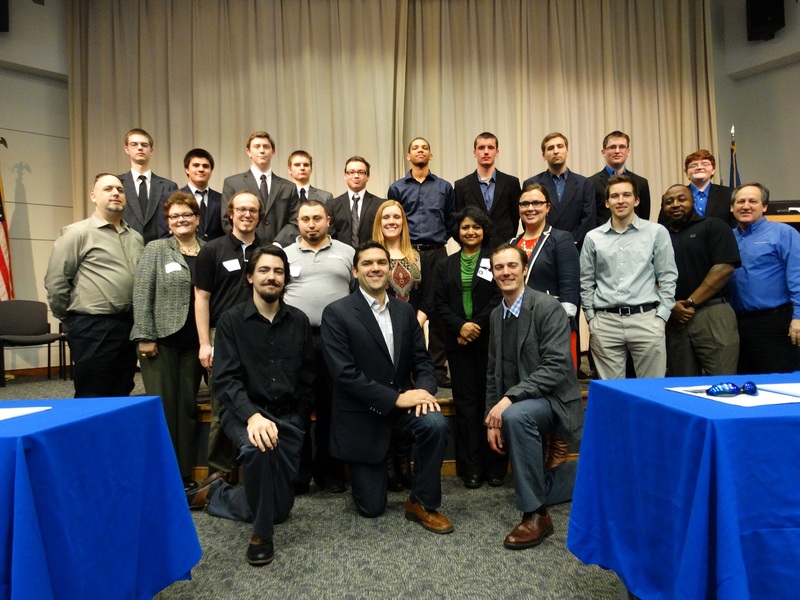 The students in business attire presented and responded to challenging technical questions about the network architecture, pricing and infrastructure to a panel of twelve business partners, representatives and Cisco alumni as their families watched in the audience. Frederick Proteet demonstrates a point to the panel in his Visio drawing. 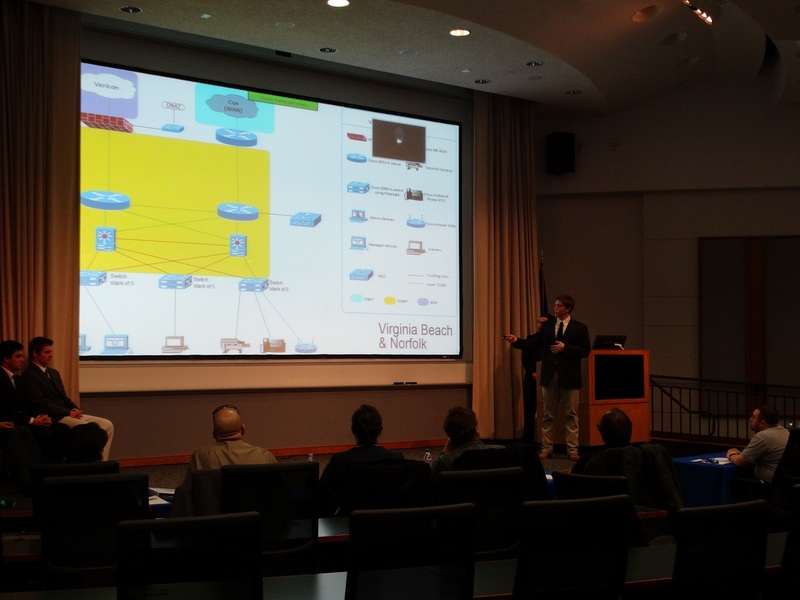 According to the panel, the Virginia Beach Routing company provided the best plan. Way to go! It was a great experience for our team. It taught us what it takes to start with just an idea to making something happen.